The second iteration of the GIRLGAMER Esports Festival is set to take place in Lisbon, Portugal on July 20th-22nd. The event is organised by Grow uP eSports in partnership with The Rainbow, Kaisun Energy Group, Evoloop, and Metta Sport. This festival supports and celebrates women’s inclusion in esports and competitive gaming. 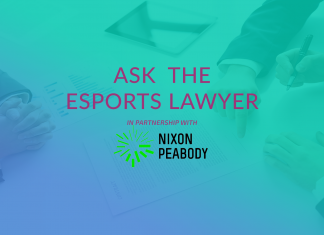 It’ll include an esports business conference, as well as competitions in both Counter-Strike: Global Offensive and League of Legends. There will also be a public Clash Royale tournament. GIRLGAMER Esports Festival is sponsored by Sephora, marking the first time that the beauty and cosmetic retailer has entered esports in such a capacity. GIRLGAMER Esports Festival is supported by both the Portugese Institute of Sports and Youth and the Portugal-China Chamber of Commerce and Industry. The first festival was held last year in Macua, China and was broadcast worldwide – clocking in over 1.4 million views online. Popular female CS:GO team Dignitas fe will be in attendance once again, looking to defend its title after winning the invitational in 2017. Tickets for the upcoming GIRLGAMER Esports Festival are available here. Esports Insider says: We fully appreciate any sort of initiative that supports the inclusion of females and other under-represented minorities in the esports industry, so seeing the GIRLGAMER Esports Festival return for a second year is great news for all. Bringing in a non-endemic sponsor in Sephora is awesome, too!